Lost in the sands of time is the ancient city ofKiratkoop! Situated about 40 km from Barmer, Kiratkoop now known as Kiradu, emerges as a treasure tucked away amidst the hills rising above the sands of theThar Desert. Once an important trade and pilgrim town on the route connecting Sindh withDelhi/ Kanauj viaAjmer, it now wastes against the forces of winds and the desert. 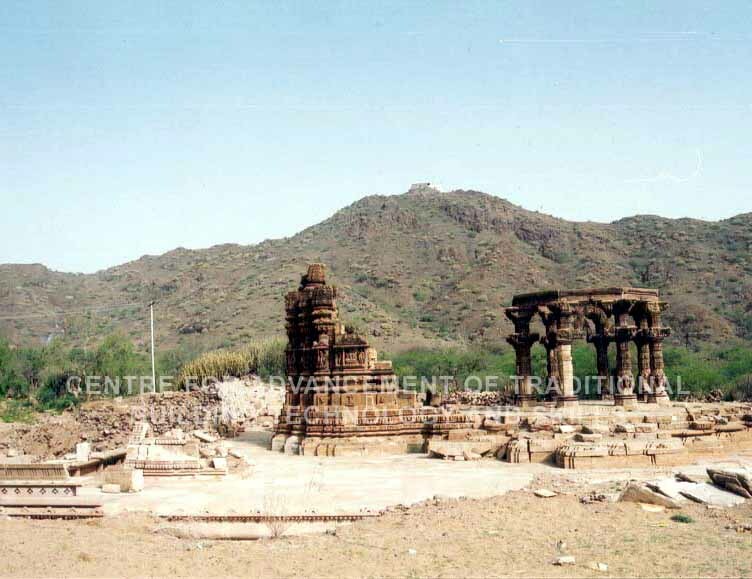 The group of temples at the ancient site of Kiradu are situated near the village Hatama, four kilometers from Khadeen a railway station on the branch line of Northern Railway from Luni junction toPakistanborder. The temples are scattered in two main clusters. It is however said that there were about 85 temples in the area but today there are only five standing temples and ruins of several temples. Among these the most illustrious temple is known as Someshwar temple. Nearby this temple towards the north is another small temple, which is named as Shiva-3. Another cluster of temple lies at a distance across the road, these are named as Shiva-2, Shiva-1 and Vishnu temple in that order. There is no evidence regarding the names of these temples. Among them, Shiv1, 2 and 3 are very small and are dedicated to Shiva. The Vishnu temple appears to be of the same magnitude and importance asSomeshwaraTemple. There are remains of a stepped well between Shiva-1 and Shiva-2 temples. Remains of rubble masonry walls are present at several places inside the complex. There is a high mound in the center of the complex, which is probably another archaeological mound.